Friday, October 5th at 5:00 p.m.
Saturday, October 6th at 5:00 p.m. 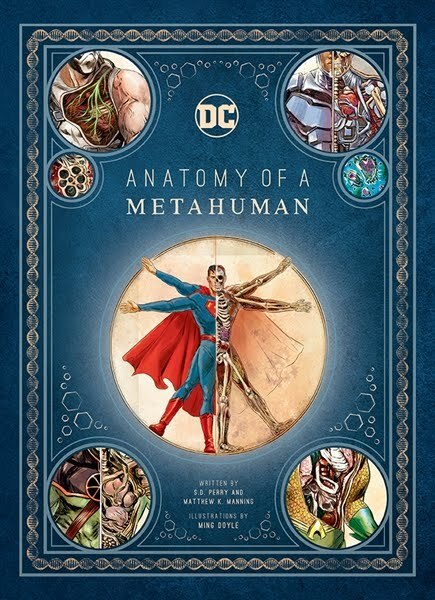 I'll be signing copies of my new book DC Comics: Anatomy of a Metahuman. Then on Sunday, October the 7th at 11:00 a.m., I'll be in Room 1A24 for the IDW all-ages comics panel. There I'll be giving away secrets about Rise of the Teenage Mutant Ninja Turtles and Marvel Action: Avengers. Join an all-star team IDW creators for an out-of-this-world interactive experience bringing best comics for kids (of all ages) right to you! From people who bring you Teenage Mutant Ninja Turtles, My Little Pony, Star Wars Adventures, Sonic the Hedgehog, Spider-Man, Black Panther, and more—get a hands-on crash course on making comics… plus take a peek behind the curtain to see what’s coming next! I'm also told IDW (Booth #1844) will have a Rise of the TMNT # 0 variant cover just for the show (limited to 200 copies). So find one and then find me, and I'll be happy to sign it for you!